Our Christmas Menus are now proving to be a great Hit! 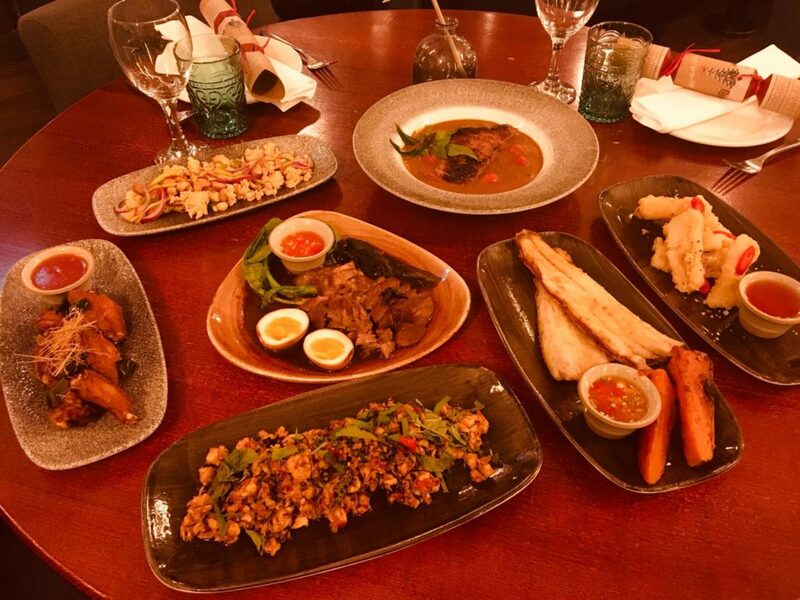 KA MOO – slow cooked pulled pork shoulder, GEANG PED BET – Duck Penang Curry and our vegan special menu dishes such as THOU MAKAM – Crispy Tofu with tamarind sauce and kaffir lime leaves are amongst the most popular this week! Spice lovers with revel in our KUA KLING GAI – a spicy North Eastern chicken Laab cooked with our secret recipe of 14 specially selected aromatic herbs and spices – A TASTE SENSATION ! Those with a sweet tooth should indulge in our Green Tea melt in the middle lava bomb dessert. There something for every Pallet and pocket – Not forgetting Our Street food Small plate Saturday lunches with dishes from just £3.25. May and Head Chef Mang have created 3 great Sharing menus price at just £18.95, £21.95 & £25.95 pp, One has been specially created for our vegan and vegetarian guests. Aleksandra, Darren, Mang and all of the team look forward to welcoming you to enjoy a truly delicious dining experience with friends, familly and colleagues alike this festive season.